A root canal tends to create a lot of apprehension and fear in many patients. After all, the treatment has had plenty of bad things said about it in the past, and its inaccurate reputation of being scary and incredibly painful has stuck with it throughout the years. However, the team at our dental office in West Caldwell wants to let our patients know that the horror stories of root canals of the past are no longer relevant in the world of today’s modern dentistry. When your dentist in West Caldwell recommends a root canal, it’s typically because decay has reached so far into the tooth that a traditional filling won’t fix it completely. Chances are pain levels are also pretty high. 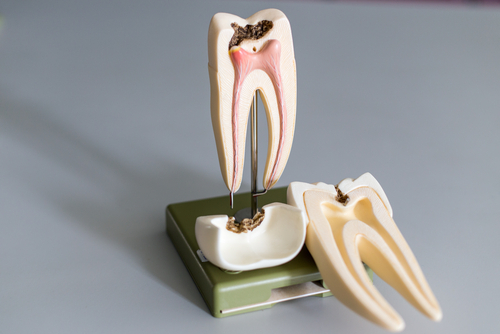 A root canal can remove the decay in its entirety and actually ease the pain. So essentially, root canals do not contribute to pain, but rather relieve it. 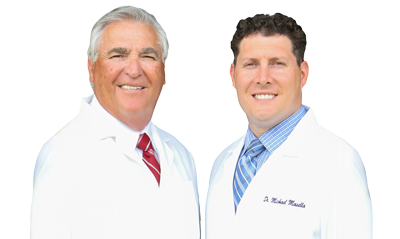 At our West Caldwell dental office, we always encourage our patients to call us right away if they suspect a dental problem or if they’re experiencing pain. If you are having any of the symptoms above, we welcome you to call us too. We’ll complete a thorough exam to find the source of your symptoms and recommend the appropriate treatment for you. If that treatment happens to be a root canal, don’t fear. You’ll have relief in no time.